The Tampa Bay business community is booming right now, and it is being recognized nationally. Business.org has named the greater Tampa Bay area as the top region in the United States for women to start a business in 2018. The Tampa Bay area finished ahead of second place Silicon Valley in the rankings. Elsewhere in Florida, the Orlando and Miami regions ranked fourth and tenth respectively in the analysis. Business.org considered several metrics in their rankings: the percentage of women-owned businesses, number of new businesses per 100,000 people, women-to-men pay difference, the unemployment rate for women, and the number of National Association of Women Business Owners chapters in a region. In addition to these statistics, Tampa Bay has numerous other organizations and opportunities for women in business. From the Greater Tampa Chamber of Commerce's annual Women Of Influence luncheon, Working Women of Tampa Bay events, and the Women's Conference of Florida. In addition to these resources focused on women, Tampa Bay has a vibrant startup and tech business community with organizations like Tampa Bay WaVE, headed by Linda Olson, leading the way. Tampa Bay Startup Week is another major event on the local calendar. Additional resources include Hillsborough County's Entrepreneur Collaborative Center in Ybor City, which frequently holds workshops and trainings such as Government Contracting on June 1st. Make sure you to take advantage of the numerous resources the Tampa Bay offers for your business! Related Content: What I Learned At The Women's Conference Of Florida And Why You Don't Want To Miss It Next Year! 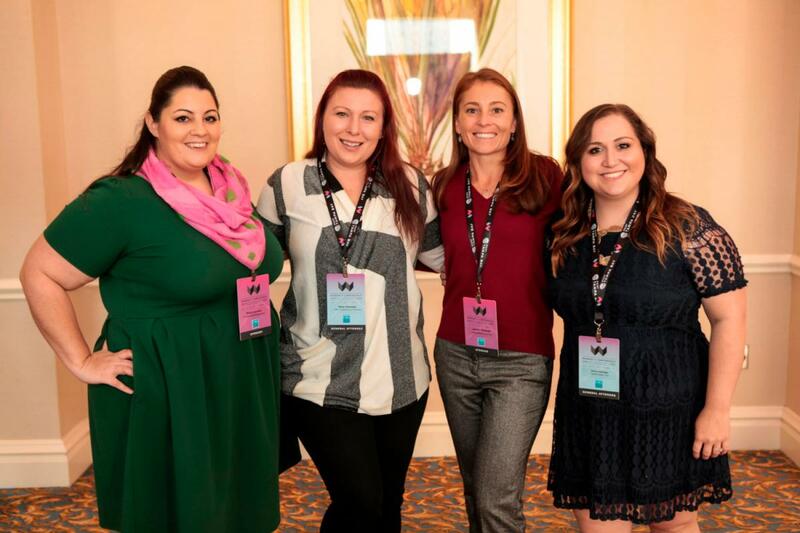 "The Tampa Bay area is a wonderful place for women to launch a business and be a leader in our business community," Women's Conference of Florida CEO and Founder Arlene DiBenigno said. "The Business.org ranking tells us what we already knew about our community. We are proud to host the Women's Conference of Florida in Tampa." The Tampa Bay area being ranked #1 in the nation for women to start a business comes shortly after two companies announced they are moving their corporate headquarters to the Tampa Bay area. Mosaic and Resistacap Energy both announced their headquarters would come to the Tampa Bay region. Combined with this Business.org recognition, the Tampa Bay business community is on a major roll in 2018. Want to stay up to date with all the latest Business news in Tampa Bay region? Stay plugged in with 813area for all the latest information on Business, Events, Restaurants and more! Sign up for our email list today, it's free! Photo from 813area at the 2017 Women's Conference of Florida.